Cameron has had the privilege of playing at a great number of funerals at all sorts of different locations. 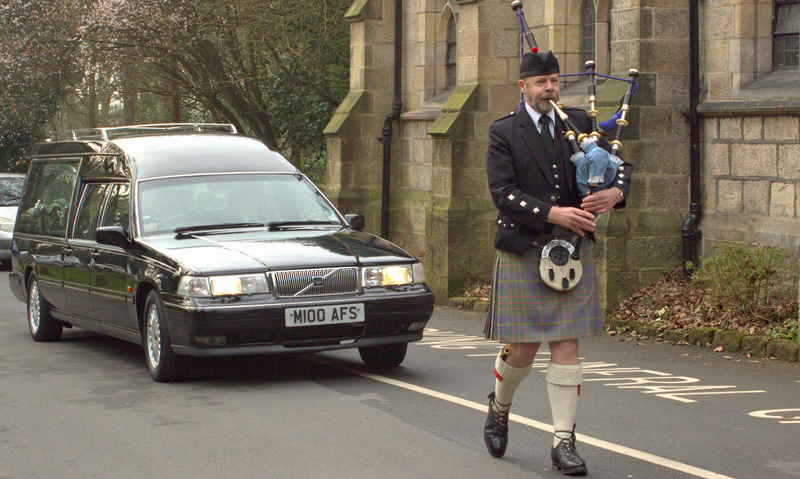 The sound of the Bagpipe adds a special touch to the service providing a perfect send off for your loved one. 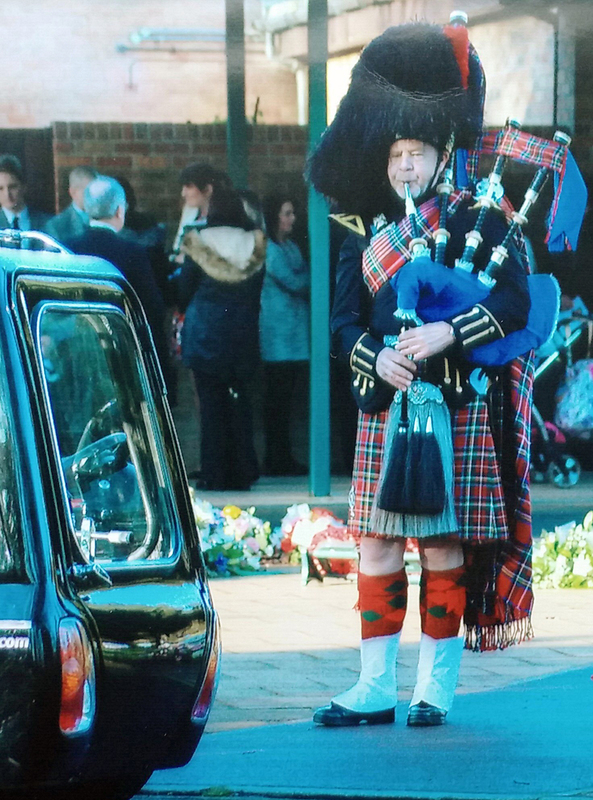 Every funeral is different and Cameron will discuss your exact requirements and liaise with the Funeral Director. Typically at a Crematorium, Cameron will meet the cortege on the driveway and play in front of the hearse to the chapel doors then lead everyone into the chapel. At the end of the service he plays some appropriate tunes as the mourners come out of the service and prepare to depart. Cameron has a huge repertoire so any bagpipe tune you wish can be played and should you have a particularly meaningful piece of music that you would like this can usually be accommodated. Call Cameron on 07789 237320 to discuss your requirements in detail, alternatively you can leave a message via our contact form.